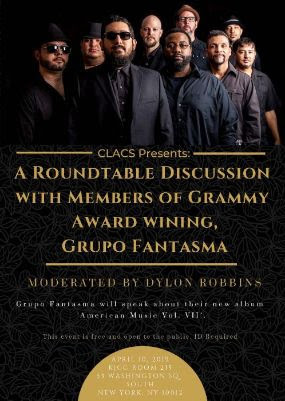 CLACS presents a conversation with members of Grammy Award Winning Grupo Fantasma, moderated by Dylon Robbins. Grupo Fantasma will speak about the release of their new albumAmerican Music Vol. VII. 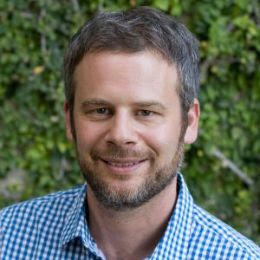 Join the New York City Latin American History Workshop for a talk with Andrew Ehrinpreis (Rutgers University) for a talk titled “Green Cold: Creole Coca Nationalism During Bolivia´s Liberal Era.” For more information or to obtain the workshop paper, contact Brendan Jordan at baj303@nyu.edu. 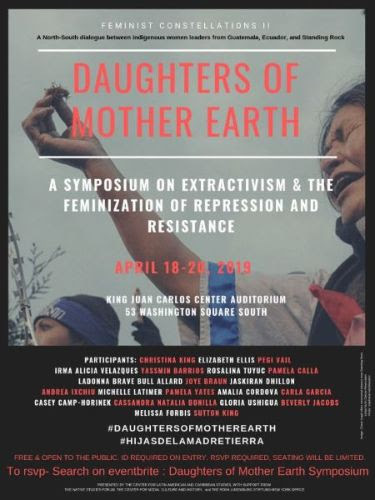 The Center for Latin American and Caribbean Studies (NYU CLACS) and the NYU Center for Media, Culture and History present Warrior Women (2018), as part of Daughters of Mother Earth: A Symposium on Extractivism and the Feminization of Repression and Resistance. 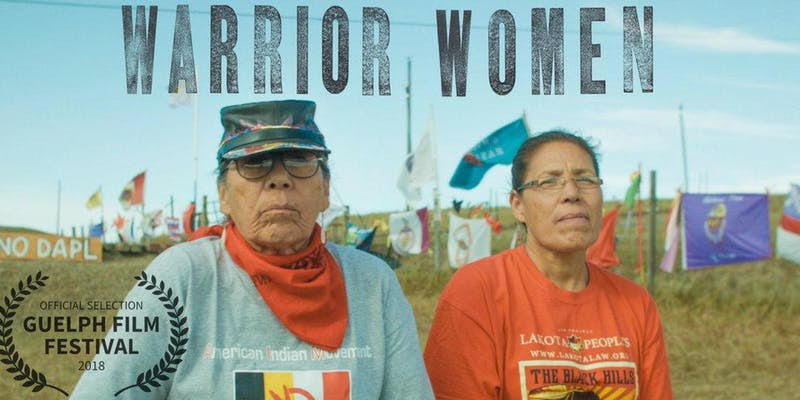 The screening will be followed by by a Q&A with filmmaker Christina King (Creek/Seminole) and Elizabeth Ellis (Peoria), moderated by Pegi Vail (NYU Center for Media, Culture and History). 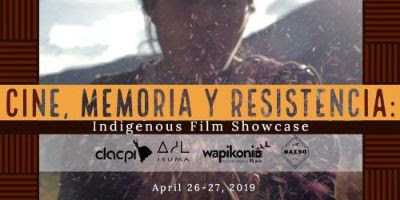 Join us for a trans-American dialogue centering the Indigenous experience as demonstrated through film. 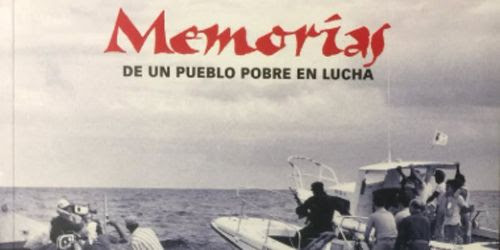 Films will be shown in English, Spanish and Indigenous languages with English subtitles. 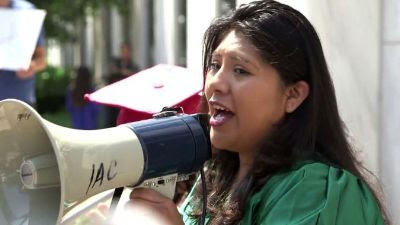 The Center for Latin American and Caribbean Studies at New York University (CLACS), Cinema Tropical, and the World Council of Peoples for the United Nations / What Moves You?, present The Unafraid as part of INDOCUMENTALES – a film and conversation series committed to exploring the multiplicity of Latin American migrant experiences in our country through compassionate representation and critical dialogue. 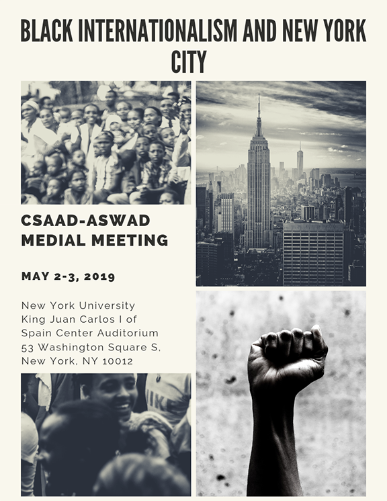 The Center for Latin American and Caribbean Studies (CLACS) in partnership with NYU’s Center for the Study of Africa and the African Diaspora (CSAAD), Latinx Project, Department Spanish and Portuguese, and PRÁ (Puerto Rican Students Association) present a conversation with Carlos “Taso” Zenón ( author of Memorias de un pueblo pobre en lucha and President of the Vieques Fishermen Association), and Aleida Encarnación, moderated by Angel Collado-Schwarz(University of Puerto Rico and Centro de Estudios Avanzado de Puerto Rico y el Caribe). 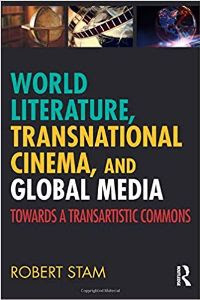 CLACS in partnership with Tisch Cinema Studies present Professor Robert Stam’s latest book World Literature, Transnational Cinema, and Global Media: Towards a Transartistic Commons, which comprehensively explores the genealogies, vocabularies, and concepts orienting the fields within literature, cinema, and media studies. Books will be available for purchase.